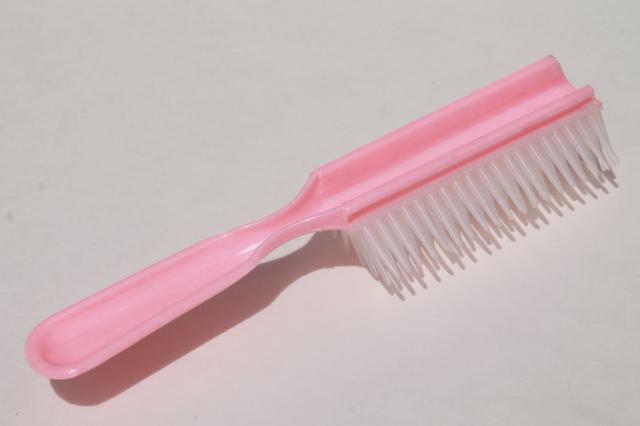 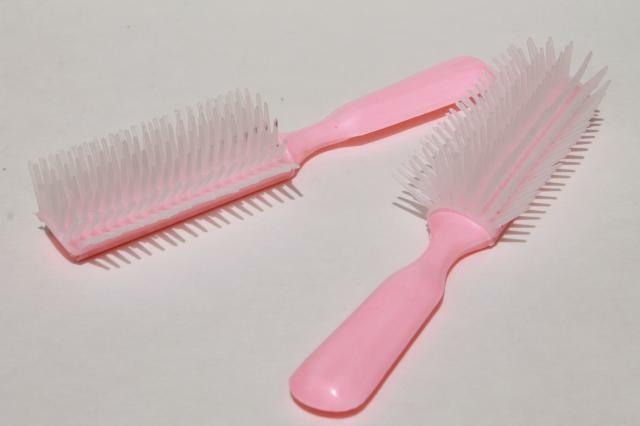 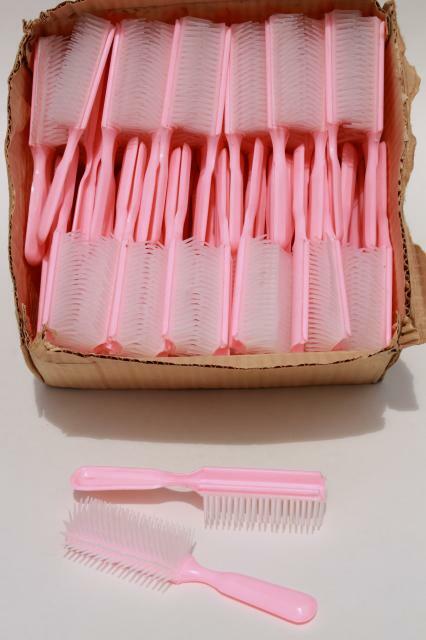 Huge lot (more than 50, the better part of a case, we didn't unpack these to count them) of pink plastic hair brushes for dolls girls. 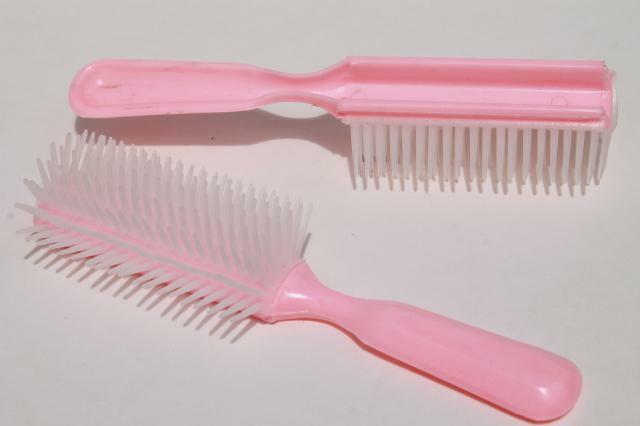 The whole lot is shown in the first photo. 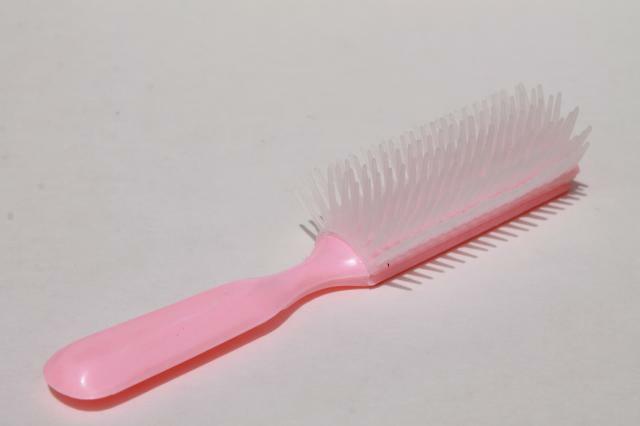 We tested and kept one of these, they worked for big girls hair, too! 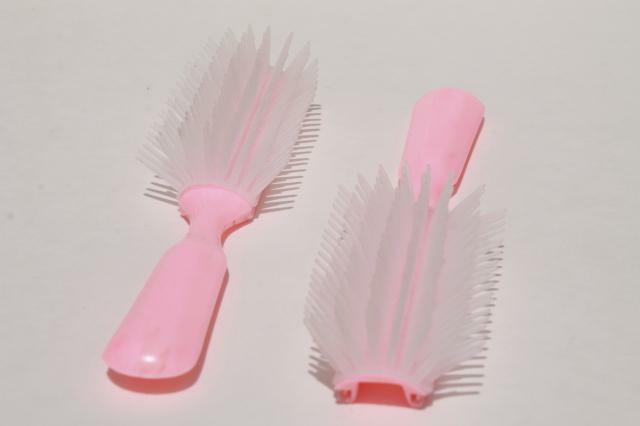 They're pocket sized, 5 3/4" long end to end.